NHS Continuing Healthcare assessments (the full assessments) are usually led by someone from the NHS. This person is often a Continuing Healthcare nurse assessor. At the same time, every full assessment for NHS Continuing Healthcare should involve a multidisciplinary team (MDT) – not just the nurse assessor. The team will complete a form called the Decision Support Tool. One of the essential people in the MDT is someone from the local authority, such as a social worker. However, many families report that the social worker often says nothing in the assessment meeting and seems to plays no active role at all. Many families feel that the social worker is there just to agree with the NHS assessor. If this happens in an assessment of your relative’s needs, the social worker could be breaking the law. In 1999, Pamela Coughlan won her case for NHS Continuing Healthcare funding at the Court of Appeal. She argued that her full time care was the responsibility of the NHS to fund, not the local authority. The Court agreed with her, and the Coughlan case became a landmark case in NHS Continuing Healthcare funding. The Coughlan case also clarified the law regarding responsibility for long term care funding, and reinforced a legal limit for local authority responsibility. If the local authority accepts responsibility for the care of a person with needs above this limit, it is acting unlawfully. The judgement in the Coughlan case confirmed that the majority of nursing care needs, even many low-level day-to-day nursing care for needs that are considered ‘stable’, are often the responsibility of the NHS to fund – not the local authority. There are several other cases, including those taken to the Ombudsman, in which the same conclusions have been reached: that local authority care, i.e. social care, is exactly that: care for social needs and for the general activities of daily living, such as washing, dressing, getting to the toilet, etc. 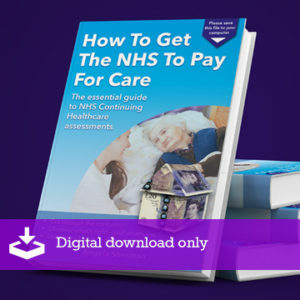 As a result of the Coughlan case, and also the thousands of complaints the Ombudsman received about Continuing Healthcare funding decisions, a set of guidance came into effect in 2007; this guidance is called the National Framework for NHS Continuing Healthcare and NHS-funded Nursing Care. It sets out broad criteria for funding decisions. One vital thing to remember is that the National Framework does not take the place of the law. Despite this, many families report being told by assessors that the Coughlan case is ‘old’ and that it ‘no longer applies’ – statements that can easily put families off pursuing funding. The Coughlan case is just as relevant today as it was in 1999. And the social worker in NHS Continuing Healthcare assessments should play a vital role in making sure the NHS does not wrongly try to offload responsibility for nursing care to the local authority. The social worker is not just there to make up numbers or so that the NHS can ‘tick the box’ to say that the multidisciplinary team was properly constituted. If the social worker just nods and agrees with whatever the NHS assessor says, the social worker could be leading the local authority to break the law. And so, in an NHS Continuing Healthcare assessment of your relative’s needs, one way to check that the social worker is playing an active role is to ask them how exactly they have evaluated your relative’s needs against this legal limit. Should social workers be involved? Read more about the difference between healthcare and social care needs. 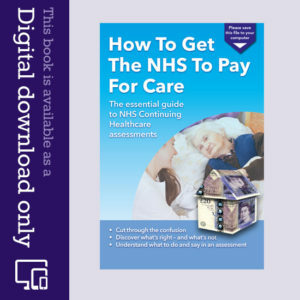 Learn how to prepare for and get through a Continuing Healthcare assessment – with step-by-step advice in our e-book, How To Get The NHS To Pay For Care. Would anyone know how easy it it to change care providors when being funded by NHS Continuing Healthcare? Hi, mother is being discharged from after a fall and a few days of rehabilitation in order for her to start walking using a walking frame. However, after lots of physiotherapy (with support of up to 3 physiotherapists) she has not managed to start walking as the physio team think she is afraid of falling again. She fine when sitted but has problem when attempting to get up and start walking. The discharge have recommended that she have four visits a day by two carers to aid with changing/bathing and dealing with continence issues. Two carers are needed to prevent her falling whilst being moved around. She is being provided with a Return frame to aid getting her up from her bed/chair. Is it reasonable to consider NHS Continuing Healthcare for her? Can this be considered when she returns home or should this be done whilst she is in hospital? She is being discharged tomorrow. My mum had a stroke 8 weeks ago. After 5 days we were taken to a room to be told they did not think she would survive as she developed pneumonia and was tube fed. After 3 weeks she was transferred to another hospital (as she was on holiday when the stroke happened) closer to home. Four days after arriving at that hospital they advised that mum was still very ill and that she may not recover very much mobility, they also said that if she developed pneumonia again they would not relieve this by suctioning her lungs and that if she died they would not attempt to resucitate her. Since then we had a 3rd meeting with a nurse and a physio to discuss mums ongoing treatment, last week we had another meeting with a doctor who implied that mum would not be able to go home and she would need 24 hour care, myself and my sister both said we want mum come home. He sort of dismissed this and said “i promised my mum that if something were to happen that i would look after her but we can’t always do it and we can’t put your mum in danger”. This stroke came out of the blue and mum was fine up until it happened so at this point we have no POA. Without it can we decide, (mum is coherant and has said she wants to come and live with me) Can we go for POA now and have her sign the documents, she hasn’t has capacity taken away at this point . Please help. My Grandad has dementia and other health problems with his heart. He was in hospital for over 2 1/2 months where we had a Decision Support Tool (DST) which recommended Continuing Healthcare (CHC). A very long and drawn out process, them losing paperwork, one minute going to panel, the next not. They then decided that, they needed more evidence, so to move him to an assessment ward. (Which we are still awaiting a Deprivation Of Liberty Safeguard (DoLS). We have since found out through the doctor there, that his CHC case has been closed! No decision was ever made whether he would be granted funding or not. Yesterday, we had another DST, and the scores came out similar to before, thus recommending him for CHC. But the assessment ward have been very slack on writing up notes, saying that they are “used” to his behaviour so don’t see any point in recording it! Surely the CCG can’t close a case without 1. notifying the family first and 2. during the time he is being assessed to gather more evidence? Also, the CCG would surely see that he has now had 2 recommendations at DST for CHC and, I thought that the CCG would only disagree with these recommendation in exceptional circumstances? Hi – would anyone know if this is in line with the National Framework (NF): when the assessors have finished the review they disappear out the back to discuss it. I thought they were supposed to be transparent and discuss it with you in the room. Most assessments seem to be carried out unlawfully……. nonetheless, write to CCG giving NOTICE of your INTENTION to appeal, you have 6 months from the date of the “decision” letter to appeal. Gather your evidence – everything no matter how small – You should have been allowed to take part in the Checklist, it should have been sent to you without having to ask for it (make a complaint) and you should have been sent a copy of the Decision Support Tool without having to ask for it…..
Good Evening. I have ready your booklet which is very helpful indeed. Just a few points – my husband has a peg for his feeding. Does that automatically qualify him for health care funding? Also if the doctors looking after my husband have ruled out further rehab does this mean they no longer contribute funding to his on going health care needs(bearing in mind he has a peg)? Has he had a Continuing healthcare assessment? If not ask for one…. PEG feeding is a health need but if that is the only health need then it is unlikely to trigger Continuing Healthcare threshold. It can be viewed as ancillary to a broader package of social care needs under local authority limits set by the Coughlan judgement however NHS might fund only the PEG feeding in a joint package of care with social care. My father has suffered a major stroke about three weeks ago. He remains in the hospital at the moment but there is now talk of moving him to a rehabilitation centre. At what point should I ask about a Continuing Healthcare assessment ? Hi . My mother is about to leave a rehab centre and they have stated that mom should have received NHS Continuing Healthcare (CHC) four years ago but we have been paying the local authority all of this time. Please state that you know about CHC and ask them to put something in place. The rehab centres are normally on point and should ensure that CHC is provided. An assessment will be carried out at your fathers home a couple of weeks prior to discharge. Hi, My 85 year old mother is registered disabled, has Rheumatoid Arthritis, limited mobility and Alzheimer’s. About 2 months ago she had an infection and had to go into hospital where she stayed for 4 weeks. When she came out her Alzheimer’s was worse and her mobility was even more limited requiring help to get in and out of bed, getting out of a chair, toilet, etc. She still lives at home with my father but his mobility is getting worse and despite having carers visiting 4 times a day she chooses not to use not to use them and relies on my father to help . She has no awareness of the strain she’s putting him under due to the Alzheimers’s and he can no longer provide the care she needs. Social Services have informed us that the only real option is for her to go into Residential Care and that the house which is jointly owned by my parents will partly fund the care once my father is no longer in it and i’m being asked to sign papers later this week to authorize this. I’m rather concerned that due process hasn’t been correctly followed and that not all options (such as Nursing Care) have been considered (I didn’t know it was an option until I read about it on the web). Also as I am still waiting for the LPA to come i’m not even sure I legally could sign any paperwork even if I wanted to ? My mother is currently in hospital again and Social Services want her to go into care direct from the hospital. This is Hellish as she just wants to come home, but my father can’t cope and I almost feel railroaded into signing their assets away without all necessary health and mental assessments being made and all suitable options explored. Any advice would be most welcome. Home is good but getting there is a tough fight. Care act wellbeing principle person is best placed to judge well being, must promote independent living dignity and choice. 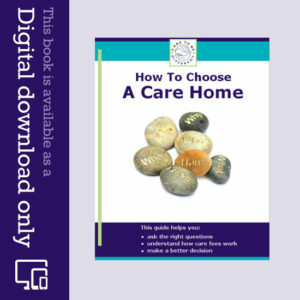 http://www.lukeclements.co.uk/lecture-series/ along with the info on Care To Be Different the three video lectures in this link are worth their weight in gold. Assessed eligible needs are non resource dependent and must be met. Please state that she is entitled to continuation of care. When you mention it they will be taken aback. Ensure that the social worker envolved does their job correctly. You mother is entitled to this as long as they have less than 23000 in savings it does not matter if she owns her home. The level of savings is irrelevant. Savings, money, assets – it doesn’t matter how much or how little of any of these a person has, Continuing Healthcare is not means tested. It doesn’t matter what money a person has. It’s about care needs only. Angela Sherman…your right, but when they say your parent doesn’t qualify for full funding BUT..they will get nurse funding then it’s means tested…trying that with me. Our Multidisciplinary Team comprised of the Nurse Manager at the home (the only person present who knew mum), a mental health nurse and a new Social Worker (SW) but it turns out the SW is employed by the NHS trust which we didn’t realise – can that be right ? I’m guessing the answer is yes and no; From a correctly formatted MDT yes the framework speaks to different professions not employers ; No from the point of the local authority (LA) doing its job properly. Should be no gap in the provision of care – thus someone beyond LA limits (‘incidental or ancil-lary’ & ‘nature of social services’ tests) must be found eligible for Continuing Healthcare, i.e. it is for the LA to decide if a person is within LA limits or not under section 21 sub section 8 of the National Assistance act, as was now under the Care Act. Contact LA head of adult care, leader of council and council CEO. By not attending (if invited,) LA is failing in its duty of care IMHO and by default accepting finacial responsibility. My mother has vascular dementia and Alzheimer’s and other health problems and has been in a care home in Wales for more than 12 months. She was placed in care as an emergency with an inaccurate Decision Support Tool (DST) completed by one person without the families knowledge. We were also asked if she owned her own home and were told she would be self funding. As I have an LPA health and welfare I am now in the process of getting another DST done and have been told that a social worker, psychiatric nurse and district nurse will be present. The psychiatric nurse has completed an assessment which I asked to be present at but was declined for various reasons and she informed me that one had been completed before and I didn’t attend that. If I had been aware I would have asked to be present. The district nurse has completed an assessment which I attended and have recieved a copy which I feel has not been completed accurately. I have read your information and NHS Continuing Healthcare (CHC) info and I believe a DST should be completed by a multidisciplinary team including a reprosentitve from NHS CHC team but have been told no one will be attending. The whole system seems to have no structure and the outcome to be premeditated. This is taking place on 31/03/17. Help please I am so confused. I am going to appeal my mum’s NHS Continuing Healthcare (CHC) which was withdrawn despite her having a long term incurable health condition. I sent off a certified copy of the health Living Power of Attorney (LPA) like I was asked. I said I want to see both this year’s and last year’s Decision Support Tool (DST) report on the phone. Today I get the post and no DST for this year, but a form asking for more evidence and stuff to sign to see LAST years DST. I thought the LPA was enough and think they are just putting up more obstacles. I was told by another health professional I could see the DST under freedom of information act. Does family with an LPA have a right to see the DST reports? Please help I think they are using delay tactics when you want to do appeals. My wife is at the end stages of Alzheimer’s and has been registered as end of life, we are with CHC but a review is due shortly what should i do? Hi, my 91 year old Mother was admitted to hospital with pneumonia on New Year’s Eve, we were advised that she was severely unwell and Was not expected to survive. She has improved and we were advised by the Doctors initially that she would be eligible for Fast Track, we were told last week at her assessment that she is no longer eligible due to her health improving. At the same meeting the assessment outcome was agreed by ourselves, Social Worker (SW) and. Nursing staff. Today we were due to meet again but this meeting has been cancelled because the SW’s manager does not agree with the outcome of that assessment, and thinks she is more able than the assessment suggests. She cannot return to her residential home and requires nursing care. We were told that cost of this is a minimum of £800 + per week in a home @10 miles away anything nearer to us is £1000+ per week. We are devastated, Mum is immobile, has continence issues, is confused at times, and crippled with osteoporosis. We don’t know what to do, any advice would be helpful. Thanks. As with so many Fast Tracks either they like to “wait and see” and either the person gets gets or worse, either way no need for FT. Our recent involvement had junior / registrars saying yes to Ftrack with consultants and matron stepping in and says policy says no .. asking for policy – oh its in the framework !!!! Tina – you mentioned that “the assessment outcome was agreed by ourselves, Social Worker (SW) and. Nursing staff”. Do you mean that a recommendation was made for Continuing Healthcare? Has it gone to the CCG decision making panel yet? Hi my uncle has been denied Continuing Healthcare (CHC) but is allowed Registered Nursing Care Contribution (RNCC). He has chronic kidney disease and heart problems. He fell and broke his hip and was in hospital for about 3 months, and when in hospital he lost a lot of weight and took bad with his heart due to high pottasium levels and a low heart rate , he ended up in coronary care. He keeps getting water infections due to his bladder not emptying properly so they have catherterised him permanently and he saw a urologist who told him he has possible prostate cancer but will not do any investigations as he is 89 years old. Now he is in hospital with sepsis due to water infection. His short term memory is very bad and he can only walk a very short distance that means from his bed to his toilet which is right next to him with a zimmer frame and 2 assistants. He is deteriorating every day, surely he should be entitled to CHC? Also we have not received a copy of the report and why he is not entitled to CHC. I personally think the social worker has let my uncle down. By the way i have bought your book and it very interesting. When i mentioned the Pamela Coughlin case to health assessor she said she got CHC because she was promised it. How does this work is this just another way out for funding? Barry – if joint funding has been suggested, question this thoroughly. If a person has a degree of care needs that are beyond the LA’s legal remit, this raises the question why are they not being fully funded by Continuing Healthcare. Many people feel that joint funding is sometimes suggested as way for the NHS to not have to bear the full cost. Challenge this and insist on seeing a full explanation of how the decision has been reached. Hi Would any body be able to give me an example of the maximum amount of nursing needs a local authority can legally take on. Hi “well managed needs”; the assessors at the review for chc funding said her needs were well managed, not eliminated, but well managed. What would be your answer to them as ‘a well managed need’ is still a need. Basically what they are saying is “you’re doing a good job so you don’t need us” what would your answer to them be? Point them to the National Framework, Barry. A well-managed need is still a need. My Mum (85 years) has vascular dementia, has lived in a care home for 3 year after brain scan confirmed diagnosis. For 3 years the has a Deprivation of Liberty (DoLS) order in place. The GP does not not support my requested for Continuing Healthcare (CHC) screen. Mum does not have a social worker in place. She has been discharged from the care of the Mental Health team as the care home meets her needs adequately. Any advice gratefully received. and back to the ongoing fight. Disappointed but not surprised that despite some last minute efforts from the nhs trust chief of ops and head of adult social care (HASC) at the local authority (LA) the CCG just ignored all attempts to get a fresh Continuing Healthcare (CHC) assessment done in the weeks leading up to Christmas some MIL has spent her last Christmas in hospital unnecessarily and against her wishes. LA and Trust’s position is that she needs 24 hours care from registered nursing staff and this is beyond social care that could be expected from a LA. (Aadmittedly LA HASC looked bit surprised at recent meeting to have her words read back to her at recent meeting, DPA requests best things ever, but there was no way back for her) trust staff agree with that position with COO stating she needs the highest level of nursing care ccg remain implacable. Questions then Can the LA initiate the CHC checklist / Decision Support Tool (DST) by themselves? Do NHS trust staff need permission from the CCG to do a checklist / dst? Richard – any health or social care professional who is suitably trained in carrying out a Checklist can do so. In August of this year we had to move my Dad into a care home. He has Vascular Dementia. Up until this point he was living in a warden controlled bungalow and had three visits a day from carers as well as multiple visits from family members. One day he went wandering and got lost and ended up in hospital, for the second time! So we felt that it was sadly time for him to go into 24 hour residential care. After finding him a home I (I have Power of Attourney) was asked to complete a financial assessment for him by our local authority. My father has to pay for his care in full. At no stage has a Continuing Healthcare Assessment been carried out to my knowledge. My Dad had no savings and didn’t own his own house. He pays for his care from his state pension, which leaves him with almost nothing left in his account each month. Is it possible that the assessment was carried out with my knowledge? Who should be the first person that I contact about this? My Dad’s alzheimer’s is getting worse and his needs are very complex and not being very well addressed in his current home. Any advice would be very much appreciated. Andrew – Your experience is sadly very common, Andrew, and many many people are financially assessed before a Continuing Healthcare (CHC) assessment has been done. It’s a breach of the Care Act. It’s possible that the CHC assessment was done without your knowledge (that in itself is a failing and if that did happen the assessment should be done again). However, if it was done there should be the paperwork to match, and you should have been kept in the loop as your dad’s power of attorney. If the NHS is unable to produce any CHC paperwork, you can assume that no assessment was done. Write to the CHC team and ask them for copies of any previous CHC assessments. You can also contact a social worker about this. The care home should also refer your dad for CHC assessment. In the Mobility domain my wife had a score of High at the last review but i feel she would now be a score of Severe. Would anyone have an example of what Severe would be as to High please? Barry – look at the descriptors in the Mobility domain in the Decision Support Tool, and perhaps focus on the aspects of risk. The descriptor for Severe in the Mobility domain is, “Completely immobile and/or clinical condition such that, in either case, on movement or transfer there is a high risk of serious physical harm and where the positioning is critical.” Note the use of the word ‘or’. A person does not have to be completely immobile; they can instead have health needs such that there are significant risks to their ongoing health and wellbeing because of their degree of immobility. I have checked the last DST and the only thing that might have changed is Severe in Behaviour, as she is now in the late stages and is no so violent. Hi All my wife is in the late stages of Alzheimer’s ,and is getting 2 girls for three hours a day funded by the CHC we have a review coming up and as usual they will try and say her needs are social what I wanted to know if we have to go with the social they will do a means test on my wife who has no savings and only a small pension ,they will try and get me to do a means test, what I want to know do I have to, can they make me do a means test to try and make me pay or can I refuse . Make sure they look at the previous Decision Support Tool and genuinely compare your wife’s current care needs to the previous rationale; make sure they look at each domain and at the criteria for funding. It is only if your wife’s needs have genuinely decreased AND decreased below the level of eligibility that there should be any talk of transferring responsibility to the local authority (LA). Make sure a social worker is present to take a view on the legal limit for LA care, and make sure you get a written rationale for any changes they want to make. Exactly the same principles apply as for the initial assessment – it’s the same criteria, the same guidelines and the same care law that assessors/reviewers must follow. Thanks Vicky met with another social worker for mum yesterday; that’s three different ones in two weeks. Told her costing was unsustainable; she has now requested a referral for mental assessment to be carried out. They can’t move mum out even if I don’t pay the invoice due to the severity of her condition so I will hang in and see what the outcome of her request is. Hi all and seasons greetings. I followed the path of informing the care home that the costs were unsustainable. Copied that letter into the the Local Authority (LA) social worker. Received reply back from home stating that I had to remove mum with immediate effect. Obviously I refused and stood my ground mum was still in the three month period before her home had to be signed over as a deferred payment to LA. Baring in mind I’d already paid out £5000 for the 1-1 24/7 care for August when she was taken into care – social services on the back of the home saying she had to be removed agreed to fund my mum’s care. This got the ball rolling as they then had to see who was going to continue with funding – LA versus Continuing Healthcare (CHC). Everything got put in place very quickly and just at the end of the three months mum was granted the CHC fully funded. I’m not saying that you should all follow this route but it’s good to challenge everything. I wouldn’t have done so if it hadn’t been for the last social worker that mum had who asked me “what’s the worst that the home can do if you don’t pay”. My response “tell me to remove her” but somewhere else would have to be found before that could happen and that set the ball rolling. I realise that the CHC is reassessed every so often but for now mum hasn’t lost her house I haven’t got myself into debt trying to pay for her care and above all mum is safe and contented in her own (as I call it ) weird and wonderful fantasy land. So hang in there everyone and I hope things work out for you all. Keep up the pressure and keep learning and use all the top quality information available on this website and the ebook, and you should be able to resolve this. It is outrageous that people in our position are subjected to such stress and treatment, already stressed seeing a family member very ill. Good luck. Vicky. Thank you very much for your replies. As we’d been asked to supply a letter of support for the application ( although they recommended joint funding for carers to come into feed my mother-in-law, so we weren’t going to support their recommendation!) I’ve put all our concerns into that. Thanks to this website, I was able to quote the Framework and Decision Support Tool (DST) and the case law. I also put in a whole timetable of my father-in-law’s daily routine, as they have a duty of care to him also. We don’t have a lot of faith in the assessors as they obviously hadn’t requested the hospital notes because we had to tell them my mother-in-law had just come out of hospital. Shoddy all round, just a money saving exercise. I will keep you informed of our progress – this website is an amazing support, I take great strength from it. Thanks for your kind words, Fiona. Wishing you well – and let us know how you get on. The Decision Support tool states in Para 31, that a clear recommendation of eligibility for NHS continuing healthcare would be expected where level of priority in any one of the 4 domains that carry this level, OR a total of 2 or more incidences of identified Severe needs across all care domains. So your case appears to be clear-cut and straight forward, yet you have had the wool pulled over your eyes. SO ANNOYING. Keep up the battle. Hi everybody, we’re just entering the fray and I am horrified by the situations that people on this site have reported but inspired to carry on with the fight. Our situation is that my mother-in-law has severe vascular dementia resulting in double incontinence, total immobility that requires a hoist and wheelchair, unable to feed herself, unable to communicate at all and recently she has started suffering from seizures and is now on epilepsy meds. She is also a diabetic and has recently been taken off her cholesterol medication as she needs liquid form as she cannot take tablets and as she is 82 the GP said that she could come off it as they would take it off her anyway at 85. We had our full assessment last Tuesday with the district nurse and a social worker we’ve never met. We didn’t even realise that the first assessment had taken place the previous Friday, as all the appointments have been arranged verbally with my father-in-law and I don’t even think he knew they was being assessed! At the full assessment we got one priority, two severe, two high and two moderate. However, they then said that they didn’t think her needs were health as there was no ‘registered nursing’ involved. I did state that her situation is well managed by my 83 year old father-in-law. They said that her needs were social and that if we needed more care then my parents-in-law could arrange it themselves as they self fund the care package in place (SC) at the moment – they have four carers a day, with my father-in-law acting as the second carer, as this was the only way we could get her out of hospital before christmas. The district nurse then said that they could perhaps fund carers to help feed mum, although they said this was a social need, so why would NHS pay? No mention at all of the LA legality test or Coughlan principles. We’ve been told to write a letter of support – can I raise all these issues in that and hope that it sways the CCG board? I asked for a copy of the DST but was told that it would come from the CCG. Any tips on how to proceed, as I can see this becoming a fight? I finally had a phone call from the lady dealing with the appeal. She wants to speak to me on the phone this Tuesday about the contents of a letter I’ve sent stating who was and wasn’t at the assessment meeting. As I am not prepared to be fobbed off I may ask for a face to face meeting, afterall I’m not the one in the wrong. They are going to deal with the issues regarding the assessment after the appeal is heard, that is what they have told me. On the 29th of June Dad was rushed into hospital because he was aspirating again, after receiving treatment he is better than he was. The Doctors are pleased with his progress saying he may be able to return to the nursing home soon. That same 29th of June we were informed the nursing home will be closing in 12 weeks; they also informed the hospital that Dad would not be able to return to what is basically his home. I’m thinking of asking at the Hospital to see if they can assess for CHC there. Dad has been very poorly again although yesterday he seemed better and more alert. Overnight he was moved to another ward. The nursing home has taken the full amount for the month even though Dad wasn’t receiving any care from them for two weeks. I’m just about to write another letter. He shouldn’t be self-funding until after the NHS continuing Care assessment- and it depends on the outcome of that. Good luck. Keep fighting for the rights of your loved one. Thank you Vicky. It’s so hard to “fight” when you have no backup and are being treated by those in authority as if you are kicking up a fuss and don’t know what you’re talking about. Even my family don’t believe we have any cause to complain although I have printed info from this site and others. They seem to accept he will have to pay for his care. I am struggling on my own on this and feel strongly my step-dad should not have to worry about finances on top of his other problems. Further to my post yesterday, I have spoken to my step-dad’s social worker who told me he is self-funding. I asked about an assessment for NHS Continuing healthcare funding and she said he was “unlikely to get it”. A district nurse is completing the checklist but did not think he would be eligible. I’m at a loss what to do now, it’s as if they have already made up their minds he must pay care fees, as they have asked about his finances. I’m not in the best of health and do not feel up to fighting this. Neither my mother or step-father want me to intervene as they don’t like to “make a fuss” but this is so unfair. Hi Jane , it’s very common for people working in health and social care – including assessors – to say things like “You won’t get it” or “It’s not worth it” and other similar nonsense. Not only is this quite wrong – because the only way to know is for the assessment to be done – but it also reveals the mindset and (possibly) lack of training and awareness of the person who is saying it. This risks transferring into the way they carry out and ‘score’ the assessment. Stick to your guns, and insist things are done properly. It is the care authorities who are at fault by asking about money/property at this stage. Thank you for your reply. I am going to phone his social worker tomorrow, is there anything specific I should be asking, apart from when will he be assessed and why has he been charged for care after the initial 6 weeks? My 93 year old step-dad was admitted to hospital in January and was transferred to a community hospital in February. His social worker told me after the first 6 weeks in the nursing home he would be required to pay a reduced contribution and when the house is sold he must pay in full. When he returns home he will require assistance from carers 4 times a day, at a cost of around £1,000 per week. I asked if he had received a NHS Continuing Healthcare assessment and was told no but that “it could be discussed later”. The only discussions in relation to his care have been financial. From what I’ve read on this and other forums his financial situation should not have been discussed before a CHC assessment. I’m confused by all the conflicting information and would welcome some advice on how to proceed. Jane – your dad should have been assessed for NHS Continuing Healthcare funding before being discharged from hospital. http://caretobedifferent.co.uk/paying-for-care-between-hospital-discharge-and-funding-decision/. He shouldn’t pay a penny in care fees until this has been done – and been done properly. A Continuing Healthcare assessment is not something that can simply by ‘discussed later’ – because it is this very process that determines whether or not your dad will need to pay. keep up your challenge. All assessments for CHC nhs funding have to be done using the National Framework and with regard for the Benchmark cases and legal judgements, such as Coughlan, Pointon etc. My dad had a major stroke in Dec 2007. He was in hospital for weeks when they said there was no more that they could do, ( he couldn’t walk, couldn’t talk other than struggle to get odd words out after some time, he couldn’t swallow was fed by a peg tube) and that he should go in a care home, to which he was placed in Feb 20th where he remained. In the home he was hoisted in /out of bed/chair, he was doubly incontinent, in nov/dec2008 he had a further 2 strokes, which ended his life. Care home fees were paid by the NHS putting a charge against my dad’s home so when it was sold they were paid, but I was advised he should have been entitled to funding on grounds of health care needs but to this date am still challenging. It’s now being looked at by ombudsman, to which I have just received a letter with a footnote at base stating CHC funding is ‘discretionary’. I haven’t seen this mentioned anywhere else before. I thought it was based on patient’s primary health care needs? Can you shed any light on this? Melissa – if the care fees were paid by the NHS then there should have been no charge against the house; that’s only for local authority means tested care. Continuing Healthcare is not discretionary – it’s based on solid established law. Thank you so much and thanks to your site and ebook and support we have got NHS continuing healthcare for David after this horrendous review, though told the third one will be in 6 months time. Keep up the good work everybody. That’s good new, Vicky – and thanks for your kind feedback on the website and our book. Wishing you well. Had full reassesssment using DST today for my husband who qualified for Continuing NHS healthcare last time, and has progressive dementia and parkinsons . The Nurse assessor said at the outset she hadn’t enough information to come to a decision today in the domains, so we suggested deferring the meeting – but then agreed to go ahead on the basis that most domains would be decided, which they were. The ‘social worker’ who did little other than nod, smile or agree with nurse assessor, despite us mentioning she should be making sure the Council did not take on more than legally entitled, signed off her name in our list of those present, as a ‘student social worker’ . Is this legal, for only a student to represent the Council, please? We were given no copy of notes taken though my son did take some and we made record of all the domain decisions. Dad was awarded CHC in September whilst in hospital. He suffers with Vascular Dementia, PEG fed, diabetes, lack of mobility, double incontinence and can at times be aggressive.. He went into a nursing home in October. A review of his CHC took place on 15th December 2015, a decision was not made that day instead another assesment was made on 13th January 2016 when we were informed Dad would no longer qualify for CHC. Present at the first meeting were the NHS CHC Nurse Assessor, a social worker, my Mom and myself. The assessor said she spoke to staff before we arrived. The meeting on 13th January we were told would take place at 10.30AM so we arrived in good time having to wait to see the same Nurse Assessor. She told us that the social worker would not be present as she had to attend a meeting elsewhere. She had also spoken to the Registered Nurse from the home before we arrived. They met at 9AM we were told. Is this procedure correct and could I complain about it? We decided to appeal so obtained the DST. There is a point under 1. Behaviour that I do not understand “Following the review on 15.12.15 the decision was deferred as there was insufficient documentation evidencing his patterns of behaviour. ABC monitoring was requested” It also states that as of 13.01.16 there was still no ABC monitoring in place. What is this ABC monitoring? His needs are still the same as when he was in hospital. Dad can be quite aggressive during care interventions and requires at least two carers whom he will shout at, curse, punch, kick, pinch etc. His grip is still strong as I have found out when attempting to give him a shave. There is only the Nurse Assessor who has signed the DST. We were told the appeal may take up to six months, can we ask for another assessment in the meantime? Also we will be billed for care home fees, do we defer payment or pay what could amount to two months due? Hello, we are in the process of waiting for a DST / MDT meeting. We have had an initial checklist carried out but have already come up against problems such as massively underscoring my mum in the domains and actually lying about whether she could walk / was out of bed etc – her care home notes do not reflect the checklist. I complained to the LHB and asked for another checklist to be done. This time they did a ‘review’, a smaller checklist and again I have reason to suspect that the nurse assessor didn’t even visit the care home, everything has been massively underscored again. Both checklists recommended my mum for FNC despite us not having the DST done yet. I’m disgusted to think that these checklists will form the basis of the DST – they are going into the meeting already having made up their minds about the outcome as far as I’m concerned which is against the rules of the framework. Where do we go from here? Kick up a stink now or wait until the DST / MDT meeting? I am sick of complaining to the LHB and angry that they can get away with this. You mentioned the Local Health Board (LHB). Are you in Wales by any chance? Remember that all the information on Care To Be Different relates specifically to the CHC system in England. I would complain now about the Checklist and make sure they know you disagree with the scores. That way, the assessors can’t say that the flawed Checklists can be used as any kind of benchmark in your mum’s case. My father is currently being baselined with dementia-like symptoms (caused by acute brain damage rather than a specific condition such as Alzheimer’s) combined with other complications. Based on the doctors advice on the condition, we researched the CHC framework (of our own volition – no advice or help has been offered in this regard) and are about to apply for Deputy Status in order to request a formal assessment. A social worker has recently been involved – their net contribution thus far to immediately demand financial details and with virtually no assessment (certainly not professional, documented, structured or with patient/family approval) made a totally inappropriate offer to my mother about care options (an offer the doctor disagreed with after my distraught mother mentioned it). At a subsequent meeting the social worker again demanded financial details. I was not present – but my reading of the law and relevant frameworks suggests this constitutes a serious breach of protocols and the law, is a case of gross misconduct and at the bare minimum is unprofessional and negligent. The discharge team have not even been called into action yet – how on earth can an offer be made around care? Would the experts here agree? Would a complaint need to be issued to the LA or would it fall under the NHS process? Or both? My wife has advanced Parkinsons and Lewy Body Denentia. Since I retired about 5 years ago I have become a full time carer. My respite has been close to zero until early last year when I managed to get Shared life care for two days and one night. A life save, believe me. Even that is now under threat thanks to the County Council’s (CC) complete incompetence. The comments above fill me with horror and trepidation. In June 2015 I requested a CHC assessment along with a carer assessment under the Care Act. I discovered in Nov 2015 that both had been cancelled by Social Services without my knowledge or consent. I should say that I only discovered CHC while reading a womens magazine at my local dentist. In five years dealing with SS, Emergency Services (999) and hospitals no one had ever mentioned the existence of CHC!!!! Naturally I created a formal complaint to the Council resulting in an unreserved apology from the Director and both requests were restarted. The CHC assessment was completed at my home by Social worker and Community Psychiatric Nurse (very supportive). The Checklist was also done at my home. I knew that that would indicate a full assessment as I had acquired a copy form from a friend in the social care business. At the conclusion of the assessment the Social Worker suggested that she would recommend to the panel joint funding ie split between NHS and Council. Currently I am paying full cost for care provided through the CC. On this site I have read that CHC is funded solely by NHS and not means tested. Quite frankly I don’t trust the CC at all. They have a very poor track record. On a slightly different track, Anita has been overcharged for care at our home for two years. The CC have been completely intransigent in accepting their errors blaming a policy which I have just discovered (via FOI) does not exist. The only way I could force the issue was to withhold payment which I did. Anita has been threatened with legal action three times for a debt of just over £15,000. It was not until I wrote to the lead CC cabinet member and threatened a civil countersuit for harassment and fraud that they even started talking. Outcome: Invoice reduced by £7,000. If my CHC application is successful can I request it is backdated at least in part since no one ever informed me? And, I have been pressured for an assessment by the CC; an assessment was done but I stated at the time that if one particular asset was to be included that I would withdraw the assessment that I eventually did. As a carer this is so stressful at a time when I need less stress. Like you, Richard, many people come across CHC by accident – when in fact they should have been informed about it by the health and social care authorities. When it comes to a decision of ‘joint funding, be cautious. If a person has sufficient needs to trigger CHC funding, the question to ask is why are all their social needs not being covered too? When a person qualifies for CHC, the funding covers both their health and social care needs. Well done for persevering with all the appalling maladministration and illegal tactics you’ve had to deal with. If the health and social care authorities failed in their duty to inform you about CHC in the past, you may have an argument for backdated funding. No one should be asking about your wife’s money if she is eligible for full CHC funding. Also, remember always, if a person does actually have to pay for their care it is only that person’s money that should be taken into account, not their spouse’s. Angela, thank you for your reply. Really we all need legal advice, but this could be costly. Also try the ombudsman. But importantly realise there are many people like you being scammed by the health and social services, so take advice where you can and fight for what you believe to be right. I have just read all the above with great interest. I applied for CHC for my mother twenty months ago. In November they finally got around to assessing her. I was present when they did the first “tick box assessment” which was done by a social worker (in training) and her overseer. The Report produced was full of mistakes which I corrected in a hand out. The “full assessment” was done by taking away the Care Home records – I was not allowed to be present. Now my mother has been in care with dementia since 2006 (she was diagnosed in 2003). In 2006 she was actually certified to get her into hospital and we were then told we had to find a secure home for her. We were told at the time we had to pay for this as mother had money. Since that time she has deteriorated beyond all belief, is doubly incontinent, only fees with help, needs a hoist now for lifting, cannot walk unaided by two carers and has no cognative function at all. In addition she has a heart condition, a thyroid condition, severe arthritis and a bad skin condition which causes open lesions on her legs and neck. She was refused CHC I am about to appeal (which no doubt will take me another twenty months or so). Any advice for the appeal including have they followed the guidelines sufficiently. i.e. was the assessment a valid one as it was only done by social workers and done in my absence. (I was specifically told I could not be present as they were doing a paper only exercise). Also am I right that as she was certified she should have been eligible for CHC from the start. I do not want to claim all the way back but I do feel it might be grounds for the Appeal. I have not by the way seen a copy of the final report. We have had all this going on since last September and it wasn’t until I found this site and info from Age Uk etc that I realised what was going on. Fighting both the NHS and Social Services and no one answering the phone or getting back to you and being aggressive when they do was bewildering. I thought it was just our bad luck. Also being told the wrong information when I could clearly see from the Care Act that it was a total lie! Astounding behaviour by people who are actually , to all intents and purposes, employed by us. Lies, deceit, false information sounds like something from a movie. How do they get away with it? Does anyone want to start a campaign? Lobby the Health Secretary who apparently wants dementia and mental health issues to be more recognised. Shall we go to Watchdog or Don’t get done get Dom or Fake Britain. Why is the Health Service blatently ripping of millions of vulnerable people? Because they are easy targets. A sinister and appalling way to behave. I think many people would echo your sentiments, Diane. It is truly appalling. My mother in law had been receiving home visits 4 times a day for approx. 5 1/2 years due to a variety of increasing problems; vascular dementia, totally immobile, legs fixed in straightposition ( hoisting needed in /out of chair /bed) doubly incontinent. Following a mini stroke she has been in hospital since July, has swallowing problems, cannot feed or drink unaided and little verbal response. She was granted CHC in August but has been unable to be placed in a suitable nursing home as the two rooms offered were unsuitable for someone in her condition. We have increasingly felt under pressure from the hospital that she shouldn’t be there and have now been told that there will be a review of her CHC and is unlikely to continue to receive it as her condition is now stable. We feel that her condition is still the same but that the hospital want her to go, during a conversation with one of the sisters we were told that it would probably be easier for her to find a place if she wasn’t on CHC ! We really are worried that it may indeed be removed and wonder what, if anything, we can do. Hi Will – that’s a very common tactic that assessors seem to use, saying that a person is ‘stable’ and therefore don’t require funding. This is a completely false premise. Parts 1 and 2 of this article may help: http://caretobedifferent.co.uk/continuing-care-assessments-2-frequent-mistakes-part-2/ Also, having CHC funding is neither here nor there when it comes to finding a care place. Your mother-in-law’s care needs are still exactly the same regardless of whether she has the funding. Some care homes don’t like CHC residents because the care home receives less money than if a person were paying for themselves, but what you’ve been told would seem to suggest that the various assessors and hospital staff are trying to put you off. Thanks for your comment, Eric. If your mother-in-law succeeds in securing Continuing Healthcare (CHC), her placement at the home would be nothing to do with Social Services – because CHC is NHS funding, not local authority funding. I know of people in top-end care homes who receive full CHC funding, and so there should be no reason for anyone to move your mother-in-law. You could ask the care home manager whether anyone else at the home has (or has had) CHC funding. If they have, then the NHS cannot argue that the home is not suitable. CHC funding covers all assessed care needs and is not dependent on where a person receives care, i.e. the care setting. Its like knitting Fog and they don’t care. You get pushed from one to another. Nobody takes responsibility and they all break their own guidlines on timelines. Somebody tell me what to do reference CHC Funding. ‘Knitting fog’ is a good way to describe it, Gary. I hope you’ll find all the information on the website helpful. Hi – A question if anyone can help. If at the assessment the assessor enters the details into a laptop can you ask him for a printed copy before he leaves as what’s to say he can’t change anything when he gets back to the office? That’s a very good point, Barry. We do hear reports from families of assessment notes being changed behind closed doors after the actual assessment, and this is of course quite wrong. Yes, definitely ask for a copy of the notes. My mother’s has suffered dementia for around 15 years. I cared for her at home from 2002 to 2012 when I became to ill to care any longer. I once asked the social worker about CHC for mum and was told she wouldn’t be entitled. My mother has had terrible and unpredictable behaviour issues, is very doubly incontinent, has been wheelchair bound since 2005, has only the use of one arm and terrible dementia. She went into a home in 2012 and wasn’t assessed for CHC until 2013 which they denied her. She was reassessed in October last year and she was granted it. However, since this has happened I believe she has had another minor stroke and her aggression is not as intense as before. The care home manager said she would probably not get CHC again at reassessment. I am appealing – very slowly – that she should have had CHC years ago but we were dissuaded from doing so by Social Services. Also, my mum needs constant monitoring so that she eats and drinks, and obviously needs constant changing, etc. When does CHC become Social Service care? What defines it, as I think she should be entitled after the next review? Sounds as though you’ve had to endure some of the, sadly, very common actions of assessors and others – such as being put off from applying for CHC previously. When a care need in one care domain (e.g. Behaviour) reduces, it can often lead to increased needs in other domains, and these should all be taken into account in any review. So just because your mother’s aggression may have reduced doesn’t automatically mean she won’t still qualify for CHC. There needs to be a full and proper review of all her needs. Mum was assessed for NHS Continuing Health Care (the Checklist) 15 months ago and did not trigger. She was also assessed for FNC at the same time which she got (or the Nursing Home got). I did not attend as the Continuing Care Team Nurse had been and gone before the designated appointment time. 2 months ago I chased the Continuing Care Team for a 12 month reassessment for CHC. 2 Weeks later I received an appointment letter for ‘Funded Nursing Care Assessment’. My question is as this is not an initial review should ‘mum’ have been reassessed this second time around for CHC before FNC? There is a paragraph in the letter that states ‘Consideration is automatically given as to whether a patient meets the Department of Health’s National Framework for NHS Continuing Health Care eligibility criteria, prior to initial recommendation for Funded Nursing Care’. I was told by the Continuing Care Team Nurse at this second assessment for FNC that she did not have time to do a ‘Checklist’ for CHC and that I would have to sign a consent form for same (I didn’t sign one last time although notes state that consent was given). I duly signed the consent form approx. 1 month ago and still nothing. We hear a lot of reports of assessors carrying out assessments before families get there – and giving families false information about what time the assessment will start. You’re correct that an assessment for CHC should be carried out before any discussion about Funded Nursing Care. It sounds as though there have been several mistakes made in your case, Mary, and you certainly have grounds for complaint. My Mothers assessment took place to day, according to the assessor Mum has qualified for funding, BUT it is limited to about £600. Mum has Lewy Body dementia and needs night care, along with so many other issues. She does not sleep and gets very confused, distressed and falls out of bed. The assessor stated that the funding probably would not cover all 7 nights, leaving me to look after her all day every day and at least 2 nights without sleep. I’m checking this out. If you are having an assessment on a loved one PLEASE make sure all the information is documented by the hospital, the assessor was only interested in this and nothing that has gone on at home. The Mental Health team, Mum is under was not invited and because nothing was documented from them in the hospital notes the assessor once again wasn’t interested. I did take a letter from our GP regarding Mum, which they took away with them. I had Mum’s nurse and a social worker fighting our corner, but once again because everything was not in writing it was a real battle. I recorded the whole meeting on my phone; they were not happy about it, saying it had never happened before! Make sure you tell them you are doing it before hand. At the end I asked for a copy of the completed Assessment form and was told a copy would be sent to me, as there was no printer for the laptop they used, so I took photos of every page! You may be interested to know Mum failed her Continuing Healthcare checklist and when I asked the Ward Manager who had completed it, a few procedural questions, it was quickly determined she had NOT followed procedure and another checklist was quickly completed and Mum passed – astonishing!! Thanks for sharing your experience, Lee. Your tips and advice are good too – and well done for challenging the things that weren’t done correctly. CHC is not capped, so the person who said that is either incompetent or trying to get away without providing proper funding. CHC covers all assessed care needs, whatever those may be. My mother has Parkinson’s and dementia and has been declined CHC twice in the past year. We have been told Mum has to pay as she has money in bonds. i have just recently found out had a life insurance element. I am just finalising the deferred payment scheme now , if i had known about the life element disregard the deferred payment could have been done a year ago but now have spent nearly all the bond money on care fees. Can I get this money back from the council and reinstated into the bond where they can’t touch it? I feel really let down as now i know it seems to be common knowledge for the people who know but you have to know what to look for in the first place, the council are only interested in taking your money they’re not there to help. Also can i still get CHC when a deferred payment is in place. Your help advice is most appreciated. You’re not alone in feeling let down by the ‘system’ Geoff. See my comment further down on this page regarding bonds: http://caretobedifferent.co.uk/care-fees-who-pays-for-care-when-your-money-is-in-an-investment-bond/ Also, CHC is nothing to do with deferred payments or anything else relating to local authority rules and means testing. A CHC assessment should be carried out regardless of that and is based only on health needs, not money or assets. My father has been refused CHC but instead awarded FNC and subsequently went into a nursing home, privately funded. I am acting as his POA. I requested a copy of the DST as he passed the Checklist stage. The copy document of the DST shows; CHC Assessors x 2 , Ward Nurse, plus it seems a social worker. I have yet to trace where the social worker is based BUT the date the SW signed the DST was one day before the DST took place. I have reason to question SW was present at the DST meeting. I could not attend on that day so cannot confirm. 🙁 There is no input from the SW on the DST. I think I should request the SW report of the meeting. Not sure where/if the legal limit applies if he is self funding? He will come under SS when his money runs out. I am going to pursue the matter on appeal because his health is the only reason he is in nursing care. He could cope adequately with his social needs if he had no medical conditions. The decision suits the CHC and SW because they know he is privately funded. Lastly, my father never wanted to go into nursing care. The hospital told me he should because of his medical condition. I have a record of that call as I record all my calls! The DST noted he wanted to go home residence on several pages. I only knew he was going into nursing care when one, some 30 miles away, called me on New Years Day asking when can we pay the fees. It could have been handled better by the NHS. Good idea, Chris. The dates seem like a giveaway that this has not been done properly, as does the phone call you received on New Years Day. 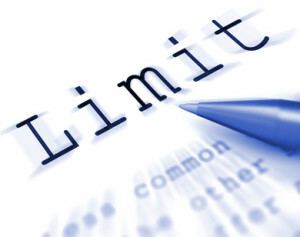 The legal limit is what determines whether or not your father is self-funding – it’s not something that’s applied afterwards. You mention: ‘He will come under SS when his money runs out.’ – this is only if he doesn’t receive Continuing Healthcare, and Continuing Healthcare doesn’t depend on his money at all; it depends only on his care needs. Care needs can change and so he should be reassessed if they do change. But first, yes, question the SW.
Greg – try Googling the ‘Leeds Ombudsman case’ and the ‘Pointon case’ for starters. I have looked at the internet and cannot find any examples of the Ombudsman overturning the decisions made by the NHS, any information on this would be greatly appreciated. I think many people would agree with you, Joyce. We don’t have qualified social workers at the assessment but a resouce officer. Haveing been through this process both personally and as an advocate I cannot see how the resource officer can be deemed independent of the nurse assessor when they are at the same meeting, hearing the same details and duplicating details on their form. They then agree all the domains with the nurse assessor showing on paper at least no dissention or independent thinking. They are not even qualified as Social Workers to make such decisions. I see their role as totally ineffective and a waste of space, time , money and effort. Our mum has had anticipatory medication prescribed , she is at the moment in receipt of full health care funding. A review is taking place very shortly, the PCT, appears determined to overturn the decision for continued funding. Can anyone advise please. Thank you. Long long story about our very ill Mother who has a diagnosis of mixed dementia that I will not go into, but can some one tell me does a Social Worker legally have to be at a NHS Continuing Health Care Assessment. Our Mum had an assessment 12 months ago no Social Worker because my Mum was not entitled to one has she had to much money!!! Or so we were told. Wendy, Untrue, your mums money has no bearing on an INP or DST. Beware though, in our health authority area a MDT consists of just 1 person and the other members only receive a written draft of the report, The National Framework is very explicit in who and what makes up a MDT. You ask for them to be present, YOU as your mums representative should ALWAYS be present. Ask who your co-ordinator is, one must be appointed, read the Framework. Staff in all of the services are not aware/up-to-date on the Framework, it should become your constant companion. Hi Wendy, unless it was a checklist that was done 12 months ago then the CHC assessment is not worth the paper it was written on. The national framework for what it is worth, insists that only an Multi Disciplinary Team (MDT), can make a recommendation to the CCG or it’s panel. The CCG cannot make a decision without a recommendation. If a properly staffed MDT did not make the recommendation, then the panel cannot have made a lawful decision either way. The framework insists that a MDT is as a minimum made up of one professional from an organisation that provides health care (NHS), and another from the social services (County Council). Likewise Maria, the same applies. If they are indeed making decisions from DST’s that were not created by a properly attended MDT then they are doing it wrong. You do not have to ask for the social workers to be at an MDT, the framework requires it. A properly formed MDT must make the recommendation having fully completed an assessment and recording their findings in the DST. Everyone is entitlement to have a social worker input (assessment) ireespective of their finances. Finances will simply dictate whether or not the cost of the supporting your needs will be met in part by the state (your Council). Keep in kind that local authority funding, financial assessments and means testing are only appropriate if a person is genuinely not eligible for NHS Continuing Healthcare funding.